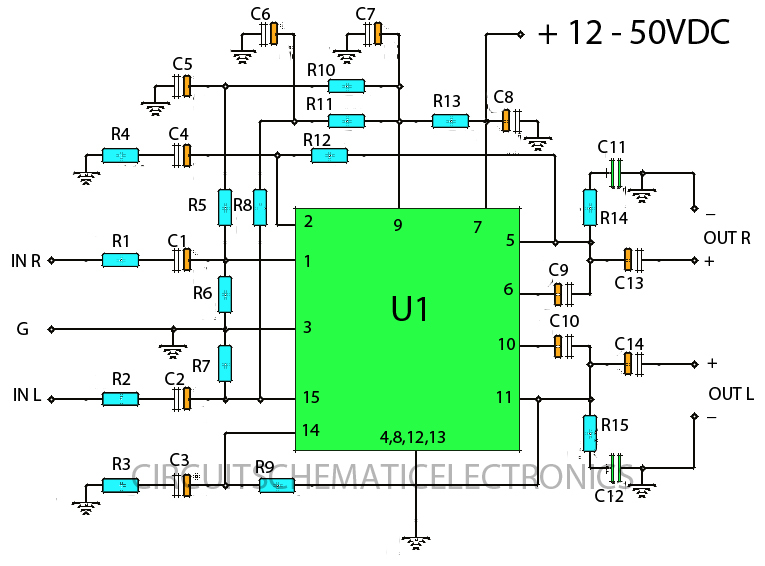 This amplifier circuit based on IC STK ic used in which the manifold. 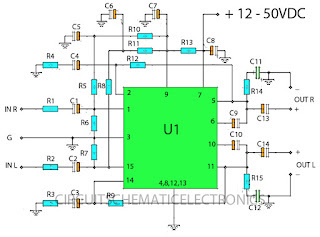 And on this circuit ic STK has many similarities, you can use the STK430 ICs, 433, 435, 437, 439, 441, 443, 4332, 4352, 4362, 4372, 4392. Between the specify type IC STK, which has the excellent performance is STK433 and STK443 because it has output, and high amperage, and voltage problems Suplly but I chose IC STK443 because maximum voltage up to 70 volts, compared with the others that just under 60 volts. 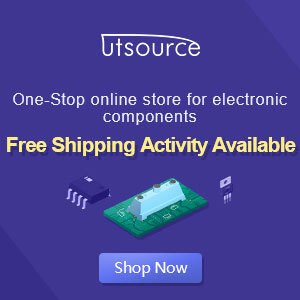 For a list of components can seen below. U1_____STK430 , STK433 , STK435 , STK437 , STK439 , STK441 , STK443 , STK4332 , STK4352 , STK4362 , STK4372 , STK4392.